DUI or DWI charges in Pennsylvania come with hefty consequences. You might face fines, jail time, license suspension, and other penalties. Fighting DUI charges is scary, but you do not have to do it alone. For legal help after a Pennsylvania DUI, call a Norristown DUI lawyer from the McKenzie Law Firm today. The penalties you face depend on your level of impairment and whether you have any DUIs on your record. It is not in your best interest to refuse to consent to a chemical test. First, you can still be charged with DUI regardless of whether you consent. Second, it is against the law. Per Pennsylvania’s Implied Consent Law, you can face a 12-month suspension for the first refusal and 18 months for any subsequent offenses. Third, the court may take your refusal as you admitting you knew you were intoxicated. However, you can decline to take part in a field sobriety test. Will I be able to drive after my arrest? When you were arrested, the state automatically suspended your license. To get your license back, you must request a hearing in front of an administrative law judge. We can represent you during this hearing and fight your suspension. If we are unable to get the state to throw out your suspension, we can work to get you an Occupational Limited License which will allow you to drive to and from work, school, or the doctor’s office. What is ARD? Am I eligible for it? Accelerated Rehabilitative Disposition (ARD) is a program that allows certain offenders to regain their licenses more quickly and remove their DUI from their record. Whether you are eligible for ARD depends on the circumstances of your case as well as your criminal history. If this is your first DUI (and your BAC was under .08), you may be eligible. To learn more, give us a call. We can examine your case and determine whether ARD would be the best course of action. Why should I hire a Norristown DUI lawyer? A DUI charge can be a terrifying experience, but you do not need to and should not go through it alone. A Norristown DUI lawyer can handle your entire case from start to finish. Losing your driver’s license can make a bad situation much worse. We will represent you in front of an administrative law judge and work to reinstate your driving privileges. Breathalyzers and other chemical tests are not without risks. For an accurate result, breathalyzers must be calibrated and administered correctly. If the officer who administered your test made a mistake during the process, we might be able to get those results thrown out. We can also determine whether any medication, food in your system, or even hygiene products lead to a false positive. While the arraignment might be the only time you will need to stand before a judge, it can be overwhelming — especially if you do it alone. We will represent you at the arraignment and ensure you understand every step of the process. Gathering evidence can be difficult for the average person. Our team will handle the evidence gathering process. We will obtain a copy of the police report and the test results and examine both for all possible defenses to the charges against you. We will assess the odds of winning at trial and determine the best possible plea deal for your individual circumstances. Depending on your unique circumstances, entering into a plea bargain can have many benefits. We can plead down to a “wet reckless” charge, which looks far better on your driving record than a DUI. You will also face lesser penalties. If we believe your case would be better served by going to trial, we will represent you throughout the process. Call a Norristown DUI attorney at the McKenzie Law Firm, P.C. today. 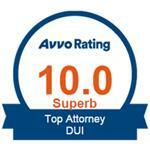 For the best way to navigate through the serious consequences of a DUI, you need a Norristown DUI attorney. Because we focus entirely on criminal defense, we have dedicated our careers to learning as much as possible about the criminal justice system. 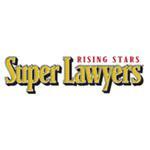 This gives us a leg up over other firms that handle every type of case under the sun. Call the McKenzie Law Firm, P.C. at 610-680-7842 to protect your future today.